O.C. can't shake slump. Fresh data on pending sales, price risk and index trading confirm a slowdown. Orange County's home-sale lethargy won't end soon. New data further cement the idea that skittish shoppers continue to ponder – not purchase. It's become an unnerving trend in a town spoiled by real estate's nine-year winning streak. A shrinking number of home deals in the works all but guarantees that a streak of seven consecutive months of year-to-year sales declines will likely be extended this summer. Potential buyers are no doubt spooked about the possibility that local house prices may decline. And commodity traders are backing such a pessimistic hunch with their own dollars. Whether this enduring malaise turns into a more serious ailment remains to be seen. But the summer's clearly off to a sluggish start. Click here to read more. Housing market favoring buyers. Coachella Valley housing prices rose in May from year-ago levels, but also hewed to the price-appreciation slowdown that's characterized the local market in 2006. Resale homes are competing not only with each other, but increasingly with new-construction houses being offered up with significant pricing incentives, free upgrades and other lures. Many resale-home sellers are still thinking in terms of where prices were eight months to a year ago, and need to be convinced to lower their asking prices or help their buyers in ways like sharing closing costs. Click here to read more. National Foreclosures Increase Less Than 2 Percent in May According to RealtyTrac(TM) U.S. Foreclosure Market Report. RealtyTrac(TM), the leading online marketplace for foreclosure properties, today released its May 2006 U.S. Foreclosure Market Report, showing 92,746 properties nationwide entering some stage of foreclosure during the month, an increase of less than 2 percent from April 2006, but still a 28 percent increase from May 2005. Report results also indicate a national foreclosure rate of one foreclosure filing for every 1,247 U.S. households during the month. California reported 8,736 properties entering some stage of foreclosure in May, a 1 percent decrease from the previous month but more than twice the number reported in May 2005. Despite the increase, the state's foreclosure rate -- one new foreclosure filing for every 1,398 households -- stayed below the national average for the second month in a row. Click here to read more. South Bay real estate sellers find fewer, pickier buyers. Local market is cooling with houses spending more time unsold, even as prices start to fall. Click here to read more. Sales of existing homes falls. But median price of the homes sold rises to $230,000 in May, up 6 percent from the same month a year ago. Sales of existing homes fell for the third time in the past five months in May, with the weakness led by a big drop in demand in the Northeast. The National Association of Realtors reported today that sales of previously owned homes dropped by 1.2 percent in May to a seasonally adjusted annual rate of 6.67 million units. Click here to read more. Slight real estate slump predicted. Anderson School forecast says dip in prices is not enough to cause an economic depression. As the price of real estate continues to increase, especially with the high cost of living in California, UCLA's Anderson School of Business economists and corporate contributors concluded in their June 21 quarterly forecast that there will be a slight slump in the real estate market. After years of anticipating that California home prices would soon begin to plummet, Anderson revised its original conjecture after it did not follow suit with the actual economic trend. But though real estate prices will begin to decrease, it will not be enough to create an economic recession. "There will be a reasonable dip, but no crash," said Chris Cagan, director of research and analytics at First American Real Estate Solutions. Several Anderson analysts also said a housing market dip could lead to job losses in some industries, especially construction. Analyzing the current and future condition of real estate value and its effects on employment, the 2006 forecast predicts that home prices will barely change in the short term, but by 2008, they could drop by 4.1 percent. Real estate is the best indicator of a recession, and if the real estate market is headed downwards, it could cause problems for the overall progress of the economy, Leamer said. Click here to read more. Buyers in more markets find housing out of reach. Even though the real estate boom peaked last year, there's no end in sight. Nationally, home prices are still climbing and are expected to rise about 5% this year. Coupled with higher interest rates, gas prices and property taxes, those prices are creating an affordability crisis that is rippling through communities across the country. The affordability crisis appears likely to get worse. The Federal Reserve is expected to raise interest rates again this week. One in five homeowners with a mortgage has an adjustable-rate loan, and most of those loans will reset to much higher interest rates within the next two years. Still, many Americans nationwide are growing anxious about the cost of buying a home, or even keeping the one they have. One out of three Americans fear that rising monthly payments — especially property taxes and energy costs — will force them to sell their home and buy a less expensive one, according to a survey to be released today by the National Association of Realtors. By a 2-to-1 margin, Americans say that high monthly payments, rather than high down payments, are the chief obstacle to buying a home, the survey found. Of the renters surveyed, about half worry that the cost of housing is so daunting that they'll never be able to buy a home. And nearly 60% of those surveyed are concerned that the cost of a home is becoming so unaffordable that it's hurting their local economy. Click here to read more. Slowing . . . but still going. Inventories climb, homes stay on the market longer. The once-sizzling Southern California housing market is cooling off. Gone are the days when sellers had multiple offers to mull a day after they listed their homes. Inventories have climbed, and houses are staying on the market longer. Many potential sellers not wanting to miss the top of the market have listed their properties for sale. He added that there's enough houses for sale now that would last nearly eight months at the present rate of sales. In many areas of Southern California, home-sales counts are declining from levels a year ago. For a house to sell quickly, it must show perfectly. And it must be priced at the market or a little below the market. Click here to read more. Housing market cools down. High inventory levels, unrealistic sale prices dampen housing market. There is no question home prices have skyrocketed during the past few years. 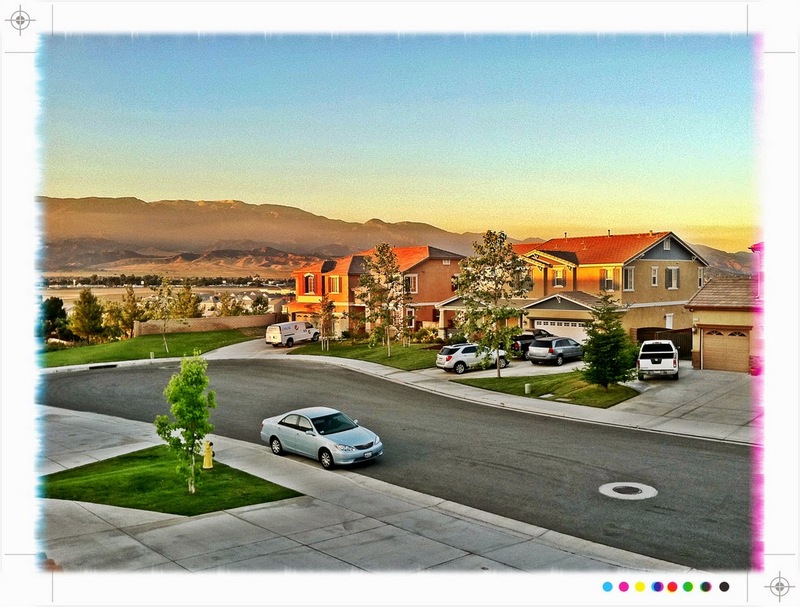 The median home price in Inland Valley cities is now more than half a million dollars in at least half of the area. Even cities such as Fontana, where the median price was $135,000 in the spring of 2002, had a median of $430,000 in April. Indeed, it appears that a good bit of the excessive inventory on the market isn't really on the market. Numerous sources have suggested that many of the homes that are for sale are listed at unrealistic prices. At a press conference at the Premier Building Show on Wednesday in San Francisco, Alan Nevin said as much. Nevin, the chief economist for the California Building Industry Association, said sellers need to realize the market has normalized. Click here to read more. Rancho Mirage: Around the city in 25 fascinating facts. Rancho Mirage: The Facts. 1: Rancho Mirage is a centralized community in the Coachella Valley, as its original name showed. The community began as Eleven Mile Ranch because it was 11 miles from Palm Springs and 11 miles from Indio. 2: Celebrities have come and gone through the city, but Frank Morgan, the wonderful wizard in “The Wizard of Oz” was the first celebrity to live in Rancho Mirage. He built his home in Magnesia Falls Cove in 1934. 3: But that was before the city was incorporated. The first official building permit issued by Rancho Mirage was for Sunrise Country Club in 1973. 4: By the way, that’s the same year Rancho Mirage was officially incorporated. It was Riverside County’s 16th city and California’s 409th. 5: The nation’s leaders took notice of the growing community. U.S. Presidents who’ve visited include Dwight D. Eisenhower, John F. Kennedy, Richard Nixon, Gerald Ford, Ronald Reagan and Bill Clinton. Is financing bomb set to go off on owners? Trouble seen with looming end of short-term loan rates. In late 2006 or early 2007, many homeowners will see introductory fixed rates expire on interest-only and other types of adjustable loans they first took out over the past five years. At that point, owners who haven't yet switched over to new fixed-rate terms could see dramatic rises in their monthly payments, as adjustable rates and principal payments kick in on those loans. Click here to read more. Prices haven't hit the roof. The area is more affordable but could still slump. While Inland homes sales are picking up for summer, there are still fewer homes changing hands than there were a year ago, a real estate information service reported Tuesday. Prices meanwhile continue to rise in Riverside and San Bernardino counties, with Riverside setting a record, according to DataQuick Information Systems. "The Inland Empire is still the Southland's most affordable market, so there may be some steam left," said DataQuick analyst Andrew LePage. "The market is certainly not in any kind of freefall mode." But the rate of appreciation is slowing down throughout Southern California, as are total home sales, which declined year-over-year for the sixth month in a row. The Inland area isn't "immune" to this trend, LePage said. Click here to read more. Home Sales Slowdown Could Settle In for a Stay. Reflecting the mushrooming crop of "for sale" signs popping up in the region, Southern California home sales in May fell to their lowest level for that month in seven years while prices flattened. The region's median home price of $485,000 in May was virtually the same as in March and April and only 6.4% above the level a year earlier, according to DataQuick Information Systems, a La Jolla-based research firm. That was the smallest year-over-year price gain since July 2000, coming during a month that normally is one of the busiest for home sales. The data portray a region in which the housing slowdown has become more pronounced. But a widely watched report suggested that there was no reason to panic — at least for now. The UCLA Anderson Forecast said in its latest quarterly outlook to be released today that home prices probably would not fall much from current levels. Click here to read more. Housing a drag on economy. California viewed as vulnerable. The slowing housing market will cause a drag on the California economy through 2008 that could worsen if a possible national downturn brings widespread unemployment, according to a new economic report. The forecast came as home sales kept slipping in Southern California. Sales were down 11.7 percent in May, compared to the same month a year ago, in Los Angeles, San Diego, Orange, Riverside, San Bernardino and Ventura counties, DataQuick Information Systems, a real estate tracking service, reported Tuesday. The real estate sector was a cornerstone of the California economy as the market boomed. Last year, nearly a third of new payroll jobs in the state were created by the sector. But in recent months, the number of new construction jobs has been flat or even fallen in most areas. Click here to read more. Flat housing market expected over next two years. A real estate slowdown will lead to a flat housing market and a slower economy in California over the next two years, according to an economic forecast released Wednesday. The UCLA Anderson Forecast predicts that real estate prices will not fall significantly, but sales volume will drop more precipitously than prices as the price cycle lags behind the volume cycle. The number of homes sold will drop as owners decide not to sell in a weaker market, the report says. UCLA Anderson Forecast director Edward Leamer said the real decline in the housing market will come in "residential investment," which includes construction of new homes, repair and remodeling, and brokerage commissions on the sale of new and existing homes. But according to Leamer, the decline in residential investment and the associated decline in construction employment will not be matched by a decline in manufacturing employment, as the latter has not yet recovered from the recession of 2001. Unless there is a decline in manufacturing employment, the national economy will avoid recession in what Leamer calls "a close call." Click here to read more. Buyers, sellers in pricing deadlock. Homeowners hold firm, raising O.C. median; purchasers are more hesitant. Sellers managed to push up the median price by 7.6 percent to $635,000, setting yet another record for a third straight month, according to DataQuick Information Systems. But buyers became more hesitant and the number of sales fell almost 32 percent from a year ago to 3,113 homes. All told, the result is the smallest price appreciation since 1999 and the slowest May sales pace since 1995. It was the seventh straight month of sales declines accompanied by higher prices. With unemployment remaining low, homeowners can and are holding out for their price, although multiple offers and quick sales have vanished. At the same time, rising interest rates and higher prices are making it harder for buyers. As an enticement, it's getting more common to see sellers pay a buyer's costs, industry insiders said. "We're already in a new cycle that started last November," he said, adding that there's a delay in the time it takes for prices to adjust to reduced sales. Click here to read more. Big brands dominate real estate deals. The Real Trends 500 survey produces two separate top-500 lists: One list ranks participating companies by closed transaction sides (there are two sides to every real estate transaction -- a buy side and a sell side), and the other list ranks participating companies by total sales volume. The lists were populated mostly by companies affiliated with Coldwell Banker and other brokerages. The Coldwell Banker brand had 57 offices that ranked on the sales volume list and 73 ranked for transaction sides. Geographically, California had the highest proportion of companies on the closed transaction sides list, at 45. Click here to read more. Housing boom 2.0: Harvard study says there may be bumps along the way, but that the long-term health of the housing market is intact. The market may face risks as interest rates rise, decreasing affordability and expanding inventories, according to the study, but the market will suffer only a modest downturn unless the broader economy collapses and jobs dry up. ~Booming household growth. The nation will add 1.37 million new households this year. Part of this is natural population increase but this has also been bolstered by foreign migrants. ~Graying boomers. As boomers have aged and prospered, they have begun to buy vacation or second homes in increasing numbers. This trend will widen as they near retirement. ~Changing household composition. Social and cultural changes add to the number of households. There are more single-person households than in the past. Fewer adult children live with their parents; they establish their own homes. Increases in divorce rates result in the division of multi-person households into smaller ones. Family sizes have shrunk; a community may have about the same population but more households. ~Minority gains. Ownership among formerly under-represented minorities has increased. Black and Latin home ownership has always trailed that of whites but the past 10 years has seen minorities making great progress. CNN Money: Interest Rates provided by Bankrate.com Check mortgage, home equity, auto rates etc. Click here to read more. Don't give up on home-selling season. If you're thinking of waiting until the momentum swings in the other direction to sell your home, you might be waiting quite a while. Not only are you competing against local existing single-family-home inventory (a euphemism for "used" homes); you are up against newly constructed homes, condos, town homes and rental units. You are also competing in the sales game against bailing investors, some of whom have already made a bundle on the speculation game in the past few years and will be content to take a loss or break-even position this time around, now that the quick-buck days are gone. Simultaneously, rising mortgage interest rates have constricted the buyer pool. Click here to read more. Location's important but so is price, price, price. Anyone who's been in the real estate business for a while will tell you that the most common reason a property isn't selling or being shown is a too-high asking price. Think about it: If your agency thought there was a good chance of selling your home at or near your asking price, it wouldn't be trying to talk you down -- they'd much rather hold out for that higher commission check. Sometimes, if such higher-than-market homes do attract suitors, the deals can disintegrate when buyers have trouble securing financing. For example, if present market conditions and comps for the past six months don't support your asking price at the bank, the home will not appraise favorably for a home loan. Be careful trying to hold out. If your house remains on the market too long, it might actually get harder and harder to attract good offers. After a while, buyers may assume you're getting desperate and will try to lowball you. In the first couple of weeks after it went on the market, there should have at been at least a few such agents dropping by to preview your place for their clients. The price may have kept them away. If buyer's agents are not bringing potential buyers around it could be a good indication they, too, think your house is priced too high. Click here to read more. As real estate market cools, 'buys' return. After five years of sizzling growth, U.S. home price appreciation is showing signs of cooling. Pending home sales -- a leading market indicator -- are down from a year ago, according to the National Association of Realtors. In many of the nation's hottest markets, brokers also are reporting a growing gap between sellers' asking prices and what purchasers are willing to pay. For prospective home buyers, the market shift provides a chance to remaster an old negotiating tactic: the art of the lowball offer. Strategies for securing a below-market price vary by locality. In any region, however, experts say bargain-hunting buyers can close favorable deals by applying a few basic principles. Sellers' new math: As houses stay on the market longer, nervous owners have begun dropping their prices. Houses throughout Southern California are staying on the market longer than they were a year ago. Without question, the market has changed. Bidding wars are fewer and farther between. Word-of-mouth sales before a sign goes up are less frequent. And deals struck in the first minutes of open houses are all but history, agents say. Anecdotal evidence aside, one sure measure of a market slowdown is the number of days homes are listed before a contract is signed. In Los Angeles County, houses were staying on the market 34 days, according to the trade group, up from 25 days a year earlier. In Orange County, it was 39 days compared with 26, and in the combined San Bernardino and Riverside counties region, 39 days, up from 27. an overpriced home might sit on the market, but eventually appreciation would "catch up" to the seller's price, he said. That's no longer the case. Like most things in life, timing is key. Click here to read more. Price reductions escalate in today's housing market. How to tell if you're asking too much. When listings that are similar to your propery are selling but your listing isn't, it's usually because of the price. The time to make a price adjustment is when you discover that it's too high, even if this is soon after the property is listed. Staying on the market too long at a high price is risky. If the market softens further, you could end up having to make a bigger price adjustment later. A minor price reduction is likely to result in a modest response. In order to make a positive impact, reduce your list price enough so that your list price is at or below the level of your competitors whose listings are being shown and sold. Click here to read more. Older widow should consider reverse mortgage and more questions and answers with Bob Bruss. Robert J. Bruss is a California lawyer and licensed real estate broker. Click here to read more. Get Real About Real Estate for Your IRA. Read about the many potential pitfalls of investing IRA money in rental property. Click here to read more. Foreclosures May Jump As ARMs Reset. As more ARMs adjust upward and housing prices begin to dip, many Americans like Britten can't refinance and are finding themselves trapped in too-high monthly payments. For those who can't make their payments, foreclosure -- the legal process by which the lender reposseses the house because the owner has defaulted on payments -- is the only way out. Foreclosure figures just released by the Mortgage Bankers Association show that foreclosure activity fell in the first quarter of 2006 over the first quarter of 2005 for all loan categories except subprime loans. The MBA didn't specify how many of subprime loans were adjustable rate mortgages. But while a strong economy helped hold down the foreclosure rate in the first quarter, homeowners and experts fear the market has turned and numbers are headed upward. In the last several years, millions of Americans took equity out of their houses and refinanced when interest rates were at historical lows and housing prices were at record highs. Many of them chose to refinance into hybrid ARMs that lenders were aggressively pushing. ARMs, which featured a low introductory interest rate that resets upward after a set period of time, were easier to qualify for than traditional fixed-rate loans. ARMs are now starting to fall by the wayside as the difference in interest rates narrows. The average rate on a 30-year fixed rate loan in May was 6.60 percent compared to 5.63 percent on a one-year ARM, according to Freddie Mac. In 2003, rates on a 30-year fixed were at 6.54 percent, while ARMs carried a 3.76 percent rate. This year, more than $300 billion worth of hybrid ARMs will readjust for the first time. That number will jump to approximately $1 trillion in 2007, according to the MBA. Monthly payments will leap too, many beyond what homeowners can afford. Click here to read more. UCLA Anderson Forecast Presents: What's Around the Bend for California Real Estate? WHEN: 7 to 11:30 a.m., Wednesday, June 21, 2006. U.S. housing market slowing gradually, Fed's Bies says. Activity in U.S. housing markets is cooling gradually, Federal Reserve Gov. Susan Bies said Wednesday. A slowdown in construction and home price appreciation could hold back economic growth, she said. Most homeowners are managing their debts well. Click here to read more. Prices take spring slide. Other indicators point to housing market that has weakened somewhat after boom. San Diego County housing prices took their biggest-ever spring stumble last month as the median sales price fell to $490,000, down $15,000 from the previous month. Click here to read more. Happy June Birthdays to Laura, Kevin, and my mom! How to survive soaring rents. It's no longer a renter's market. But as the housing market cools, rentals are once again in demand, liberating landlords in many markets to raise rents at the fastest pace in years. Average effective rents -- or what tenants pay after taking concessions into account -- are expected to rise 3 percent this year, according to Reis Inc., a real-estate research firm. Archstone-Smith, which owns apartment buildings in 41 cities, says it is increasing rents 8 percent to 10 percent in New York City and Southern California. It's partly a supply-and-demand issue. Years of soaring house prices (and recent increases in mortgage rates) have simply priced many people out of the home-buying market. Indeed, the portion of U.S. households owning their own home slipped to 68.5 percent in the first quarter from 69.1 percent a year earlier, according to the Census Bureau. The best season to apartment-hunt: between Thanksgiving and Christmas, when rental demand typically slows. Click here to read more. Number of Existing Homes for Sale Online is Up 60 Percent from Last Year. Residential Real Estate supply online is up from May 2005, while median asking prices stay firm. The number of existing homes listed online for sale in the largest 100 metro areas in the US reached 2.3 million in May 2006, up from 1.3 million in May, 2005, according to market research firm Corzen's Real Estate Indicators survey, (currently available at http://www.corzen.com). Despite the steep climb in available inventory, however, median asking prices also grew over that same period. Nationally, Corzen's survey found that the median asking prices for listed homes nationwide was up 8.4 percent in May 2006 compared to May 2005. In some parts of the country, however, median asking prices showed steep declines, a clear sign of softening within the real estate market. Asking prices for existing homes fell most sharply in Florida, California, Massachusetts and in the Virginia suburbs outside of Washington, DC. Click here to read more. 'Overpriced' housing gets more overpriced. Despite a slowdown, more housing markets are overvalued than ever, says one economist. The rich have gotten richer, at least when it comes to home prices, according to a study released Monday. The most overvalued housing markets in the United States recorded much higher price increases during the first quarter of 2006 than the least overvalued markets, according to the latest analysis by National City Corp, a financial holding company, and Global Insight, a financial information provider. Some places, of course, bucked this national trend. Salinas, Santa Barbara and Sacramento, all in California, are all among the top 50 overvalued cities where prices dropped. Click here to read more. Google brings out upgrades to Google Earth, Google Maps. Google says it expects real estate professionals to start photographing their properties and build 3D models, which could bring in highly gratifying online house shopping. Click here to read more. Home Appraisal 101 - What is Inside Your Appraisal? An appraisal is a dense multi-paged, document; usually on a form acceptable to Freddie Mac or Fannie Mae (their endorsement(s) are on the bottom of the page.) In order to simplify our discussion of appraisal contents, we will use a real appraisal of a home located in a coastal area of a southeastern state. This appraisal is 13 legal size pages, but the last five pages are boilerplate in which the appraiser certifies his methods, and outlines the limiting conditions of the appraisal (in traditional cover the posterior language.) Only the first two pages of an appraisal contain really relevant information although subsequent pages have pictures and maps that augment the text. Click here to read more. Through the roof. As building-material costs soar, homeowners are scaling back on remodels. A Woodland Hills contractor, believed he had a big job lined up last fall. But in the six months it took the client to hire an architect and have blueprints drawn for a large addition, Roshkovan's estimate went from $170,000 to $250,000 and the Northridge homeowner abandoned the project. The contractor blames at least part of the increase on the soaring prices of building materials, which generally account for about 30% of the cost of a major home-improvement project. Also figuring into the equation are rising energy, labor and insurance costs, including workers' compensation. Click here to read more.